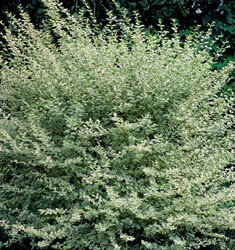 Upright shrub border with gray to creamy-white edged leaves. Small, purplish-black fruits appear in fall. Mass and foundation plantings.